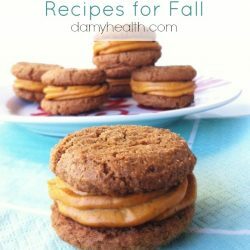 The weather this week has been dark and drizzly here in Vancouver so I took full advantage and started with creating some Fall recipes. 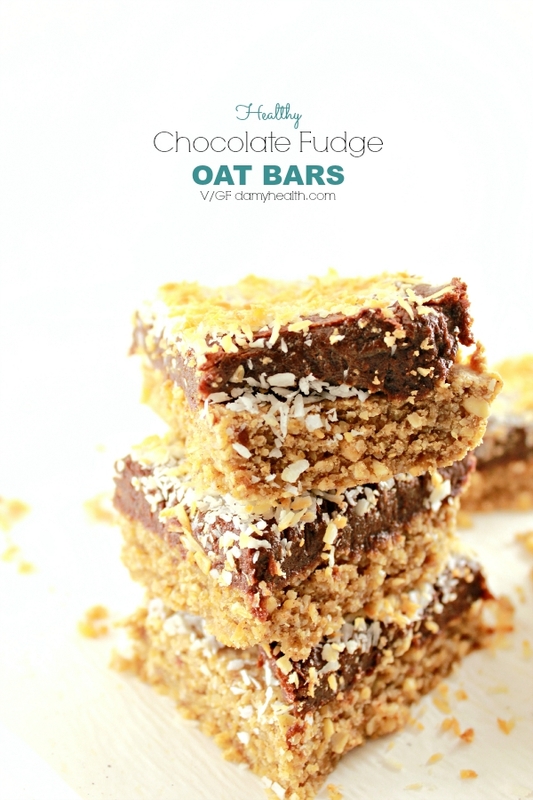 First up – my Healthy Chocolate Fudge Oat Bars. I’m really sad to see Summer go this year but at the same time Fall always brings a refreshed and exciting energy. You can expect to see lots of baking, root vegetables, pumpkin, caramel, apples and spices on the blog this Fall! 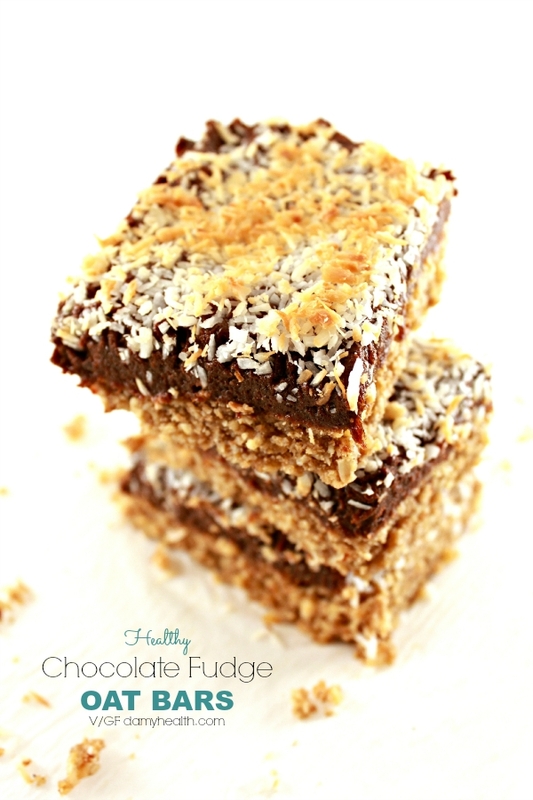 This recipe was in-part inspired by the Starbucks Chocolate Fudge Oat Bars. 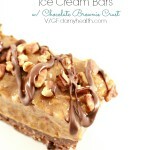 Of course my version is dairy free, created with all natural whole food ingredients and contains no additives. 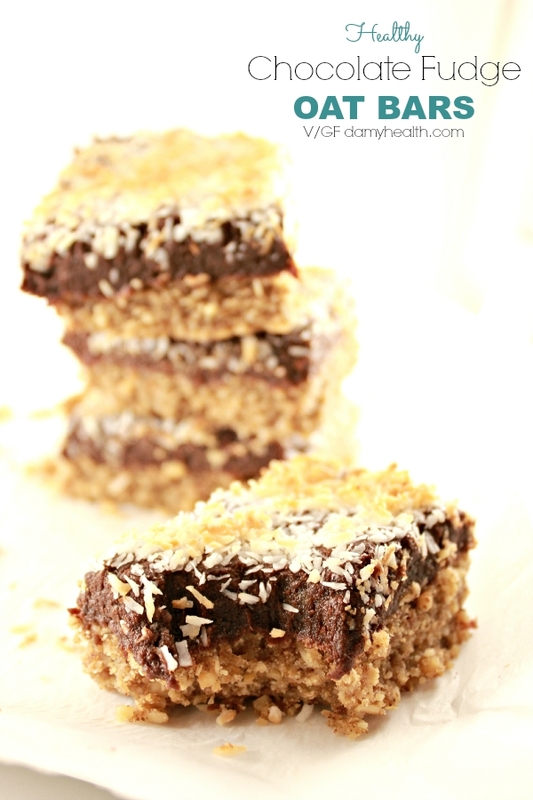 These bars are really simple to make and pair fantastically with a cup of tea or coffee. They were a hit here at my house as a mid-morning snack and as a treat. These bars are also way better than many energy bars you find on the shelf. 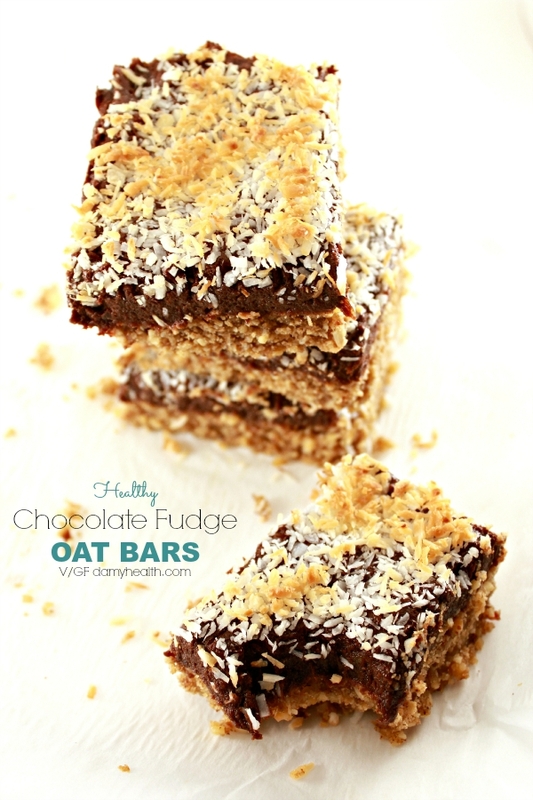 You could wrap these bars individually and enjoy them on the go. 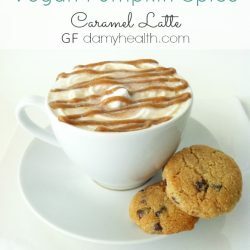 If you are looking for a decadent coffee treat that is also Starbucks inspired to go with these delicious bars check out my Salted Caramel Pumpkin Spice Latte. 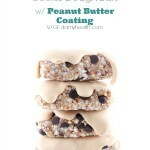 It is dairy free and contains all natural whole food ingredients. 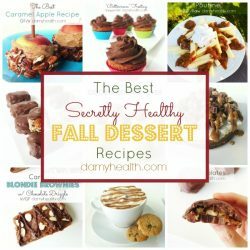 For some more Fall-inspired healthy recipes check out this round up: The Best Fall Dessert Recipes. 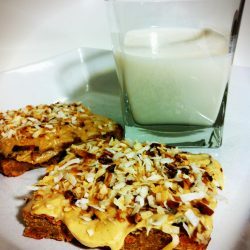 This recipe is vegan, dairy free, high fiber, all natural whole food ingredients. Line an 8x8 baking dish with parchment paper. Enough so that it is covering all sizes and hanging over the edges. Place all crust ingredients into your food processor and pulse until completely mixed. Dough should stick together at the touch. Place dough into your baking dish and press down evenly. Place all chocolate fudge ingredients into your food processor and blend until completely smooth stopping to scrape down the sides. 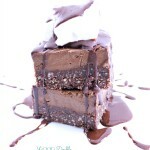 Using a spoon and your hands (it is super sticky) spread chocolate fudge over your crust. 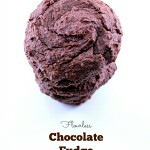 Tip - If your fudge is being dramatic place your chocolate fudge and oat bar crust in the freezer for 5-10 minutes. This will make both easier to work with. 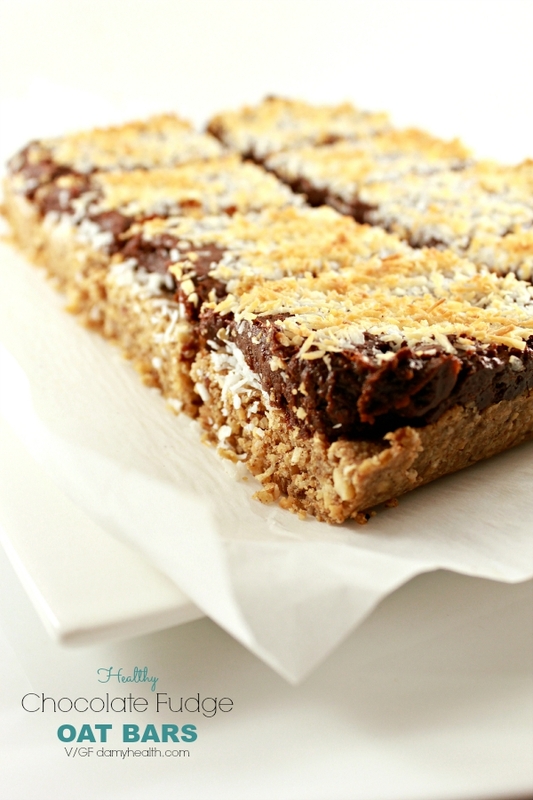 Press coconut down on top of your chocolate fudge layer. Place in the oven and bake for 18-20 minutes. Then turn your oven to broil for 2 minutes to toast your coconut. Remove dish from the oven and let sit untouched for 10 minutes. Using the parchment paper as handles remove your bars intact and place on a cooling rack until completely cool. 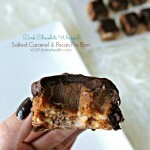 Once cool all the way through cut into bars and enjoy. DAMY Members - 1 bar can be used as a mid-morning snack once or twice per week (if you are not 5lbs from a goal or event). 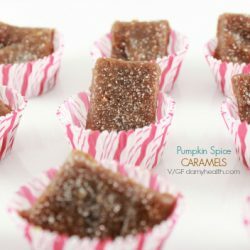 This can also be used as a great treat option.